For every family vacation we have taken, we always try to have something tangible in our home that represents the experience. A photograph, shell, rock or other object may seem insignificant, but looking at these objects seems to take us back to these joyful moments in our lives. Having these mementos displayed throughout our home tells the story of our adventurous experiences together and the time we fully dedicated to celebrate being a family. Nothing is more important to me. As mentioned earlier this week, the most recent family trip we took to Mexico was amazing, but we came to find something very disappointing. When I went to load the hundreds of photos I took of everybody and everything, only three showed up. Thank goodness my son snapped a bunch on his iPhone or we’d have nothing. Even better news is that he captured a couple of amazing shots that I plan on displaying somewhere very soon. Next week I’ll be sharing some of the ways we have memories from our vacations on display throughout our home. I’ll also show you what I have in store for those recent iPhone photos from Mexico. Until then, I thought I’d show you some of my favorite ideas I’ve come across that I believe are both clever and stylish. This vacation photo keeper from Martha Stewart is not only decorative but functional as well. I just love these vacation memory jars (also from Martha) that hold anything from photos to admission tickets to trinkets. They look stunning all grouped together. 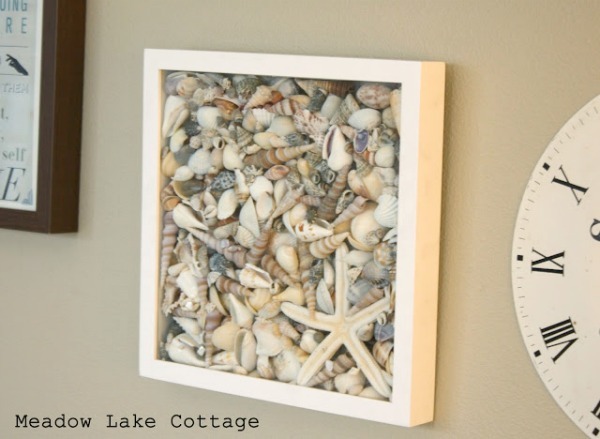 Erin from Meadow Lake Road came up with this shadow box idea to display shells they collected on various trips. It looks great hung alongside family photos and other gallery wall items. This sea shell art from Bless’er House is beautiful. I love how it looks like a specimen box. 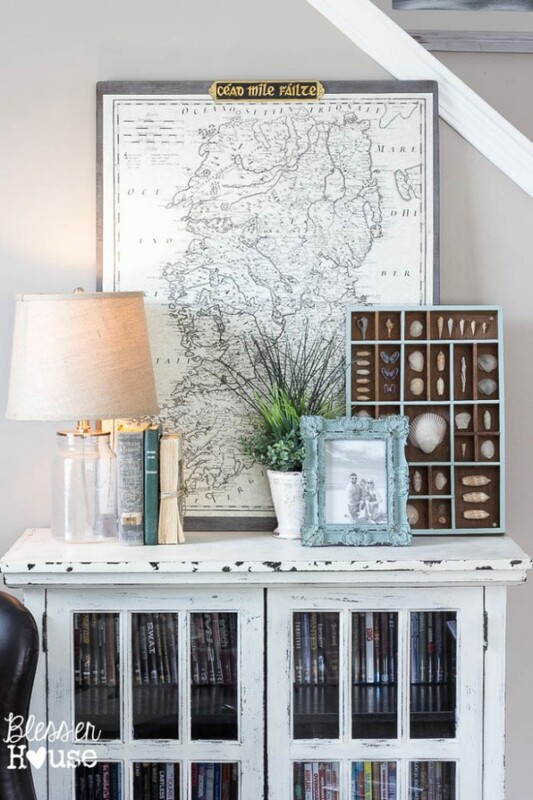 And check out that DIY vintage map too! 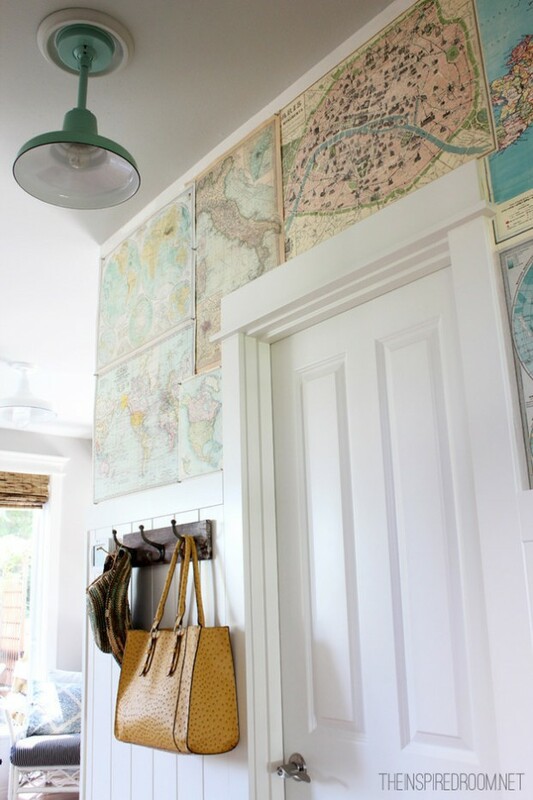 This collection of maps pinned to the wall by The Inspired Room is brilliant. Not only does it inject a lovely pop of color, it also serves as a daily reminder of where your travels have taken you. 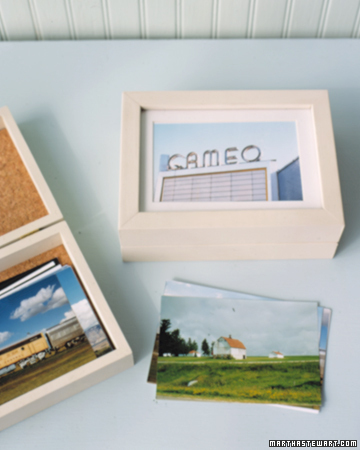 What are some of your favorite ways for displaying vacation mementos? Do you collect anything in particular on your travels? I love the idea of the maps. I used them as scrapbook paper when I went to Tokyo once. They were of the brochure variety so no big deal to cut them up. We’ve got lots of seashells for sure! Love this post Shauna! You just gave me a idea for my son’s room.. He has all these little mementos on his desk and in drawers and I like the idea of putting them in jars like that! Would love to see it all done up. Have a great weekend! Fabulous post! I like the shadow boxes, they look beautiful! 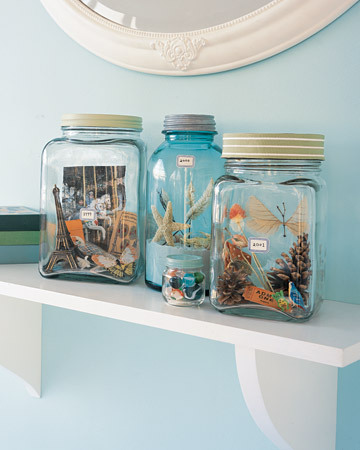 The jar idea is nice too, they do look great grouped together.